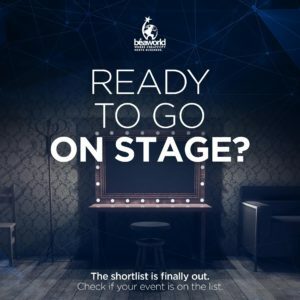 Either you are a nominee or eager to get inspired by the world’s best events of the year, don’t miss the unique opportunity to join Bea World Festival – Where Creativity Meets Business. See you in Coimbra, in the Centre of Portugal, from November 21 to 24. Meet the right people and talk to the stars! At Bea World Festival you can reserve a seat to join a lunch talk that matches your interests or pick a brain and book an individual appointment with a jury member or speaker to discuss your challenges. After you purchase your Delegate Pass, you’ll be able to check out experts, topics, and table hosts and make your reservation through the magic link sent by NetworkTables! Save on your hotel, transfer, flight or train! Thanks to our partners, Bea World Festival delegates can benefit from various advantages while arranging their stay. Special fares have been reserved in selected hotels in Coimbra thanks to our travel partner Eventos by T. Make your booking today and secure your seat on a bus from/to Porto or Lisbon airport. In addition, you can save up to 15% on your flights with TAP Portugal, the official airline of Bea World Festival 2018. And if you are travelling from within Portugal, you can save 30% on your train tickets thanks to our official partner CP Trains of Portugal.